Taiwan vendors believe PCIe and SATA will achieve price and market share parity by years' end. A collapse in price for NAND flash memory and a shrinking gap between the prices of PCI Express-based and SATA-based solid-state drives (SSDs) means the shift to PCI Express SSDs will accelerate in 2019, with the newer, faster format replacing the old by years' end. According to the Taiwanese tech publication DigiTimes (the stories are now archived and unavailable without a subscription), falling NAND flash prices continue to drag down SSD prices, which will drive the adoption of SSDs in enterprise and data-center applications. 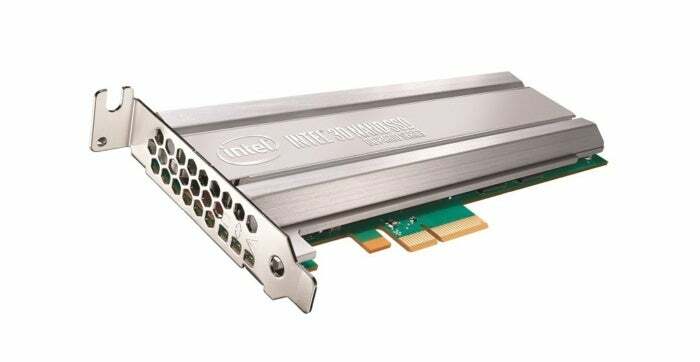 This, in turn, will further drive the adoption of PCIe drives, which are a superior format to SATA. SATA was introduced in 2001 as a replacement for the IDE interface, which had a much larger cable and slower interface. But SATA is a legacy HDD connection and not fast enough for NAND flash memory. I used to review SSDs, and it was always the same when it came to benchmarking, with the drives scoring within a few milliseconds of each other despite the memory used. The SATA interface was the bottleneck. A SATA SSD is like a one-lane highway with no speed limit. PCIe is several times faster and has much more parallelism, so throughput is more suited to the NAND format. It comes in two physical formats: an add-in card that plugs into a PCIe slot and M.2, which is about the size of a stick of gum and sits on the motherboard. PCIe is most widely used in servers, while M.2 is in consumer devices. There used to be a significant price difference between PCIe and SATA drives with the same capacity, but they have come into parity thanks to Moore’s Law, said Jim Handy, principal analyst with Objective Analysis, who follows the memory market. “The controller used to be a big part of the price of an SSD. But complexity has not grown with transistor count. It can have a lot of transistors, and it doesn’t cost more. SATA got more complicated, but PCIe has not. PCIe is very close to the same price as SATA, and [the controller] was the only thing that justified the price diff between the two,” he said. DigiTimes estimates that the price drop for NAND flash chips will cause global shipments of SSDs to surge 20 to 25 percent in 2019, and PCIe SSDs are expected to emerge as a new mainstream offering by the end of 2019 with a market share of 50 percent, matching SATA SSDs. Market sources to DigiTimes said that unit price for 512GB PCIe SSD has fallen by 11 percent sequentially in the first quarter of 2019, while SATA SSDs have dropped 9 percent. They added that the current average unit price for 512GB SSDs is now equal to that of 256GB SSDs from one year ago, with prices continuing to drop. According to DRAMeXchange, NAND flash contract prices will continue falling but at a slower rate in the second quarter of 2019. Memory makers are cutting production to avoid losing any more profits. “We’re in a price collapse. For over a year I’ve been saying the destination for NAND is 8 cents per gigabyte, and some spot markets are 6 cents. It was 30 cents a year ago. Contract pricing is around 15 cents now, it had been 25 to 27 cents last year,” said Handy. A contract price is what it sounds like. A memory maker like Samsung or Micron signs a contract with a SSD maker like Toshiba or Kingston for X amount for Y cents per gigabyte. Spot prices are prices that take place at the end of a quarter (like now) where a vendor anxious to unload excessive inventory has a fire sale to a drive maker that needs it on short supply. DigiTimes’s contacts aren’t the only ones who foresee this. Handy was at an analyst event by Samsung a few months back where they presented their projection that PCIe SSD would outsell SATA by the end of this year, and not just in the enterprise but everywhere.